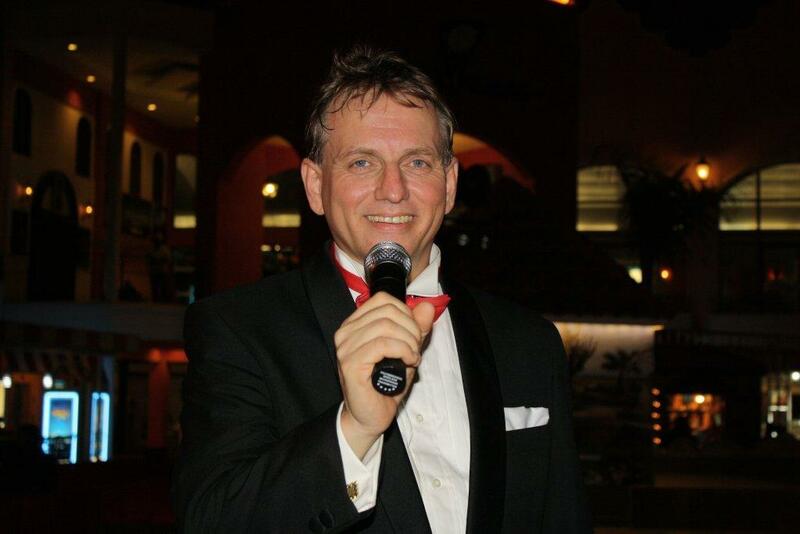 Experience beautifully composed, orchestrated, and arranged music with wonderful romantic lyrics made famous by singers like Frank Sinatra, Michael Buble, Harry Connick, Jr. and others sung by Aruban vocalist Fred de Jong. 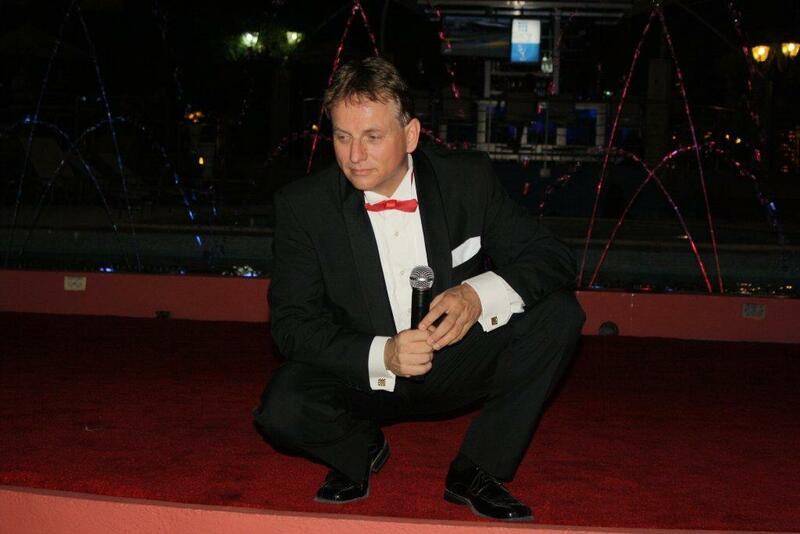 Enjoy an enchanting Sinatra Show featuring Fred de Jong with a list of more than one hundred (100) songs from the American songbook, which will bring back precious memories. The show is set at a small Las Vegas style theater an area with capacity for 340 people. The Crystal theater is located in the Renaissance Mall next to the Crystal Casino. The dress is casual evening attire. The show takes place every Tuesday from 7:30 till 9:00 pm and the Show Ticket is only $20.00 for persons from 18 years up (snacks and drinks, transportation, gratuities not included). 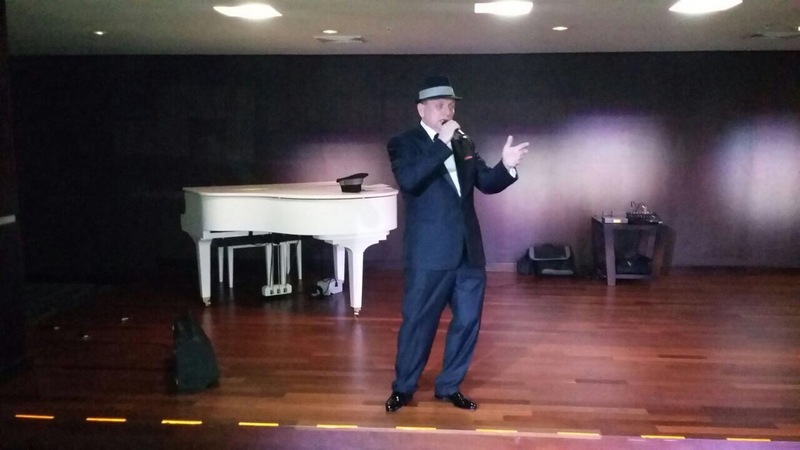 The Aruba Sinatra Show at the Barcelo Hotel Aruba will give you a taste of Aruban hospitality atmosphere that is enchanting, cozy, and romantic. Catering services are available so drinks can be bought and consumed during the show. 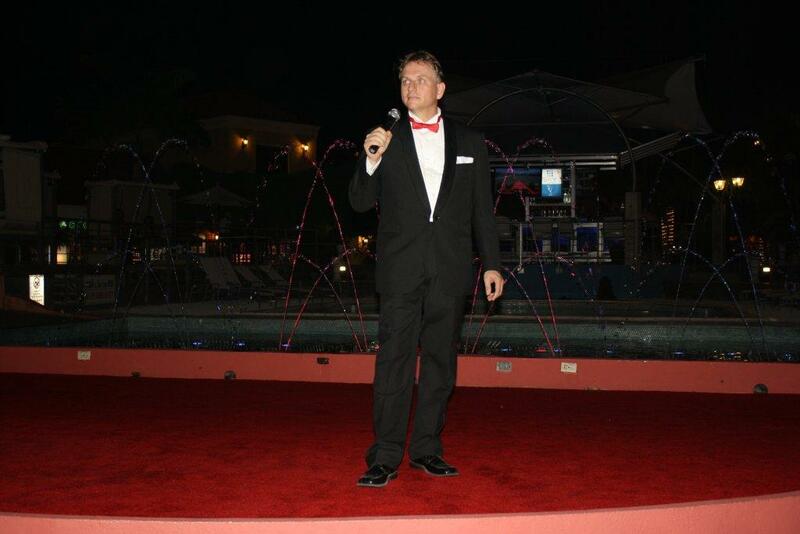 The show with live entertainment is held every Wednesday from 19:00 – 21:00. For All inclusive guests admission is free. 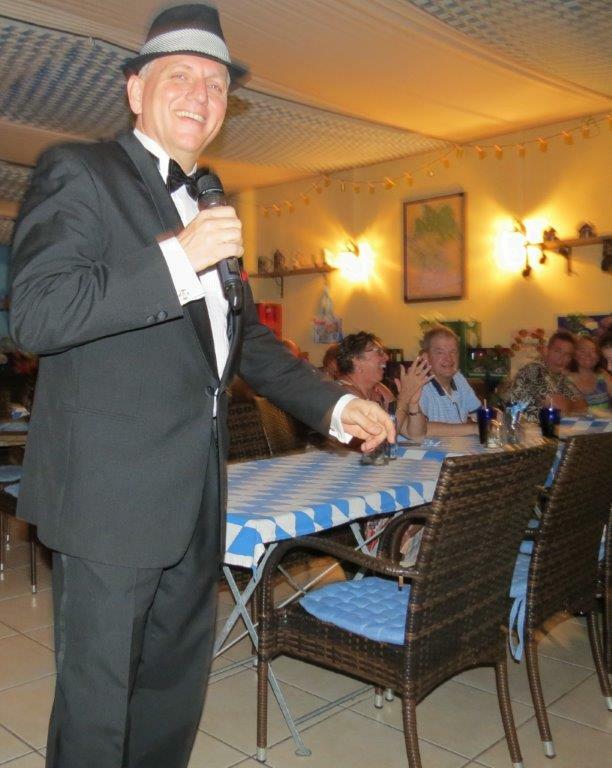 The first set will be the “easy old school Frank” which he will do, in his extraordinairy way, his greatest hits and wellknown songs……the classic way. 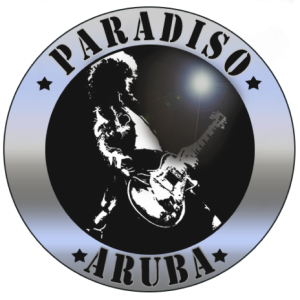 When Frank hits the Paradiso Aruba stage for the second time…it will be a surpirise and a true tribute when Frank will do his songs in a very “different” way! Can you imagine “New York, New York” turned into a reggae version, “I Get A Kick Out Of You” in a blues version or “My Way” as a rock ballad? You will be surprised and thrilled! When Fred performs you can take any spot, because there is not a bad spot in the house! From the first notes, you will know you have made the right decision to attend one top notch show. Fred’s voice is amazing! Is Frank reincarnated? Close your eyes for a few seconds…Frank is there! right in front of you! The entire evening will be a very memorable experience and one you’ll never forget! 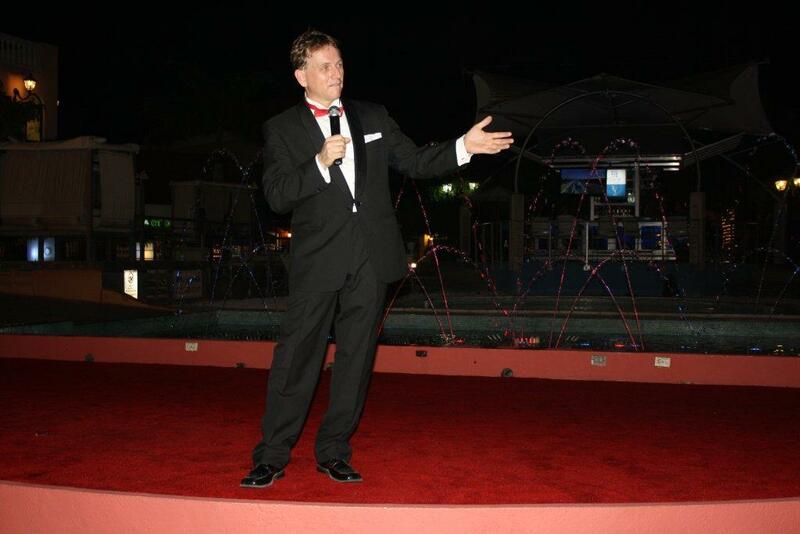 This special Sinatra 100th Birthday Tribute Show will make your stay on Aruba a very special one and an evening to remember. Order from a special Sinatra Menu while watching our Aruba Sinatra Dinner Show at Bavaria Restaurant. The show takes place every Sunday from 7:30 till 10:00 pm. The Show Tickets are only $15.00 per person (Food & beverage not included). The show takes place every Sunday from 7:30 till 10:00 pm and the Show Ticket is only $15.00 for persons from 13 years up and $7.50 for children of 12 years and younger (food and drinks, transportation, gratuities not included). 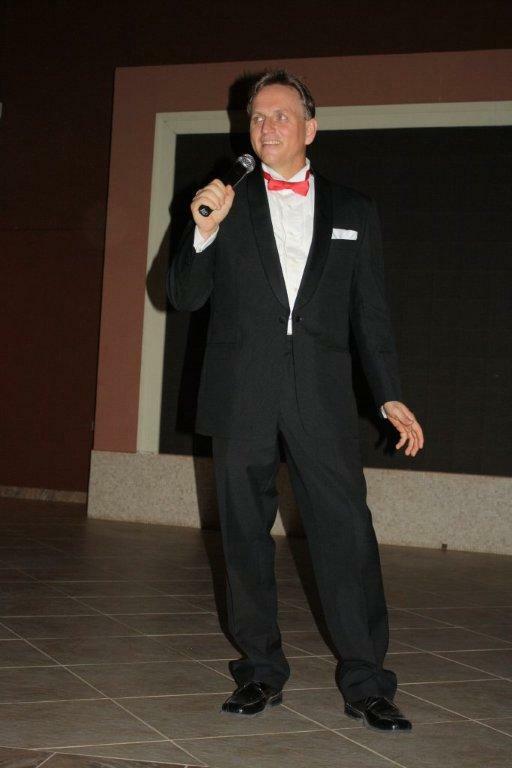 The Aruba Sinatra Theater Show at the Expo Room at Aruba’s Theater and Cultural Center “Cas di Cultura” will give you a taste of Aruban native atmosphere that is enchanting, cozy, and romantic. 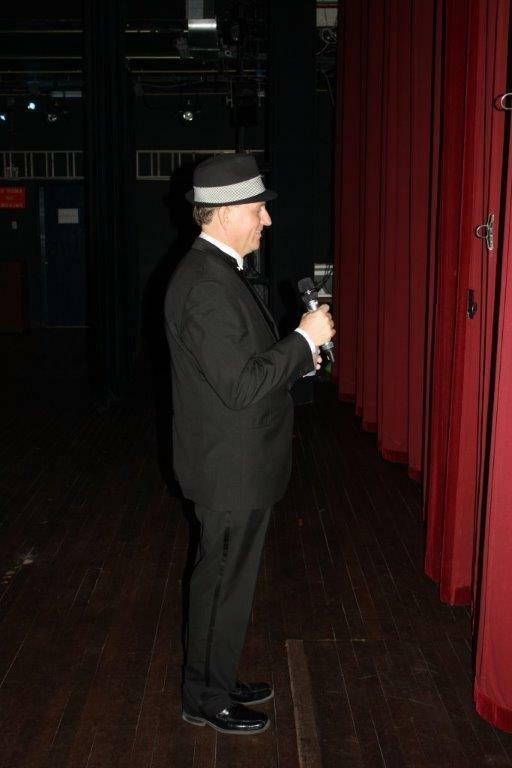 Catering services are available so refreshments and snacks can be bought and consumed before a show and during the intermission. The show with live entertainment is held every Wednesday from 19:00 – 21:00. The ticket price is only $20.00 for persons from 13 years up and $10.00 for children of 12 years and younger (Transportation, Gratuities, Food & Drinks not included). 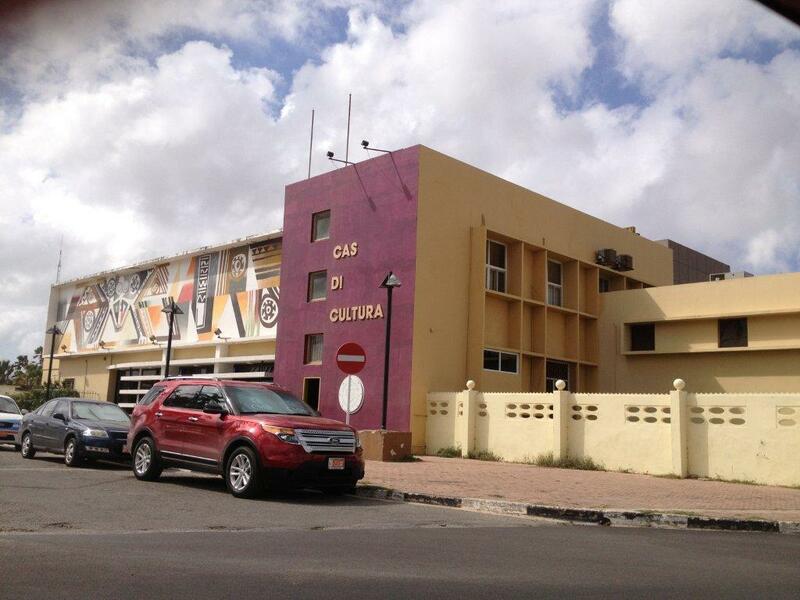 The Aruba Sinatra Senior Citizen Show at the Auditorium at Aruba’s Theater and Cultural Center “Cas di Cultura” will give you a taste of Aruban native atmosphere that is enchanting, cozy, and romantic. Catering services are available, so refreshments and snacks can be bought and consumed before the show and during the intermission. 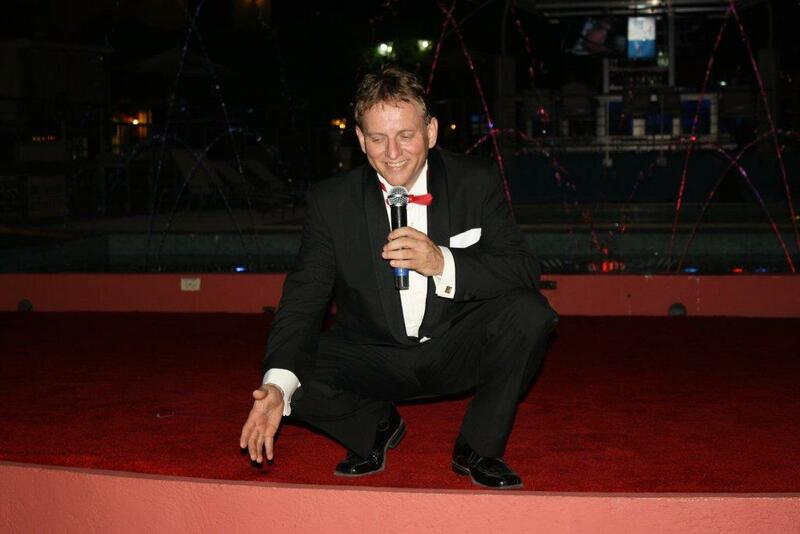 This show with live entertainment is held Wednesday October 30th, 2013 from 19:00 – 21:00. The ticket price is only $20.00 for persons from 13 years up and $10.00 for children of 12 years and younger (Transportation, Gratuities, Food & Drinks not included). 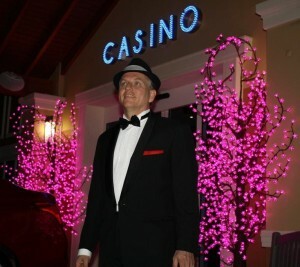 One of the most beautiful casino’s on Aruba is the brand new Glitz casino. 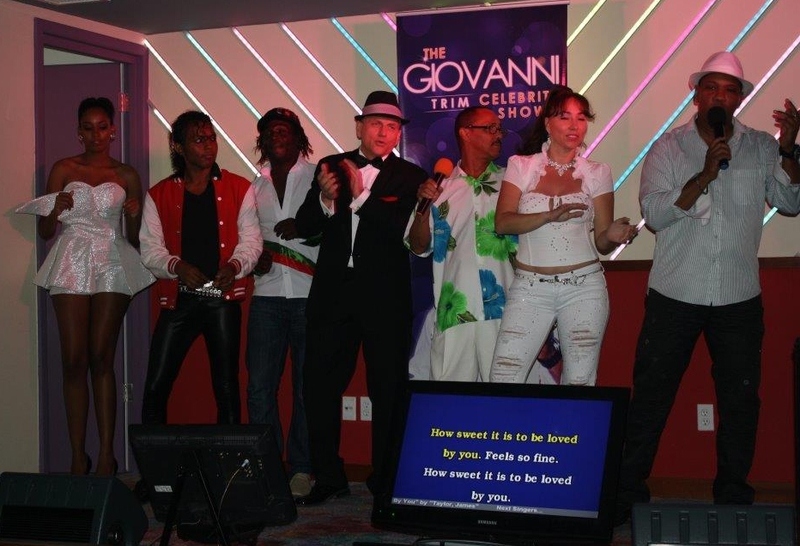 Giovanni Trim is organizing an awesome Celebrity Show, which takes place each Friday from 9:00 pm till 10:00 pm at The Glitz Casino. 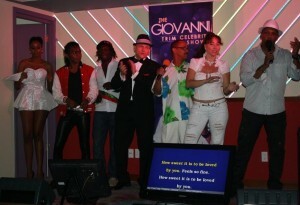 In this show you can see a group of Aruba’s celebrities impersonating en performing famous artists and songs (On the photo you can see fromlegt to right: Whitney Houston, Michael Jackson, Delroy (Bob Marley), Fred de Jong (Frank Sinatra), Eddy (Harry Belafonte), Paola Ridderstap (Gloria Estefan and Rihanna), Giovanni Trim (Stevie Wonder). After the Celebrity Show, the audience will be able to show their talent in the subsequent Karaoke Show. The show takes place every Thursday from 7:30 till 10:00 pm and the Show Ticket is only $15.00 for persons from 13 years up and $7.50 for children of 12 years and younger (food and drinks, transportation, gratuities not included). 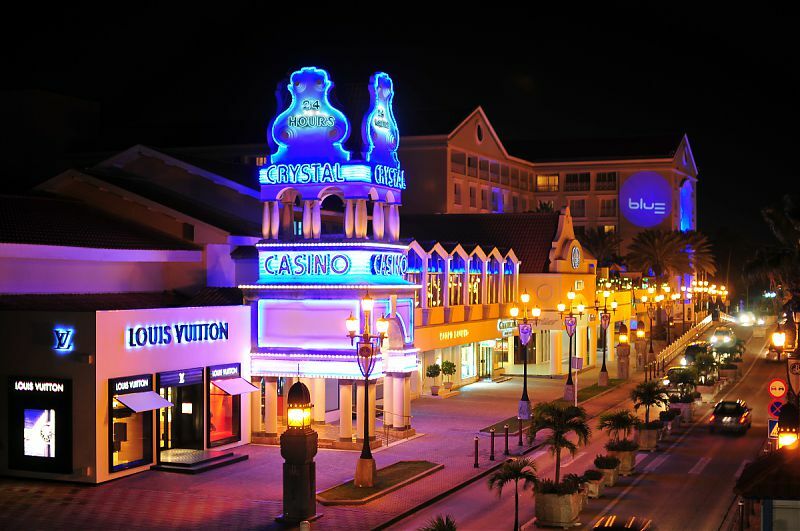 One of the most beautiful casino’s on Aruba is the brand new Glitz casino. 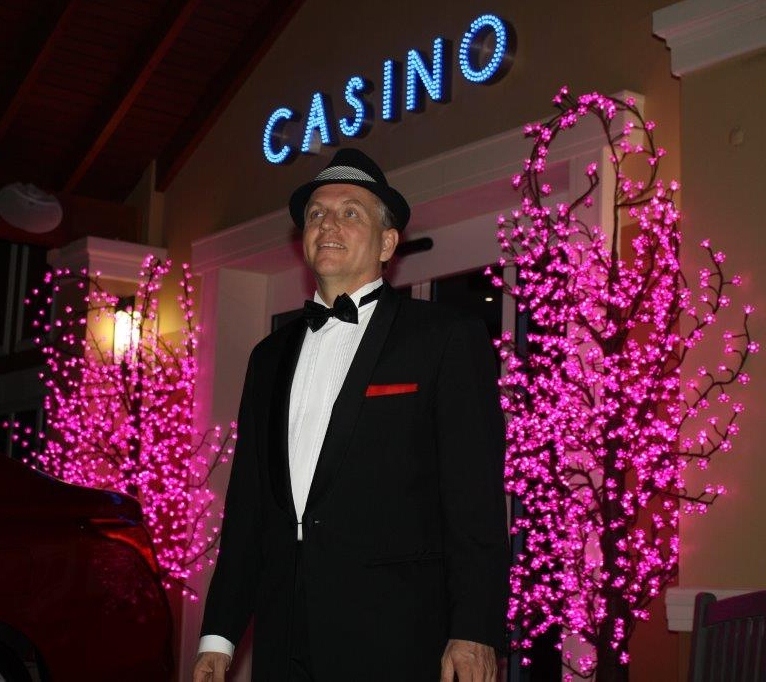 Glitz Casino and Fred de Jong decided to organize a weekly Aruba Sinatra Show! 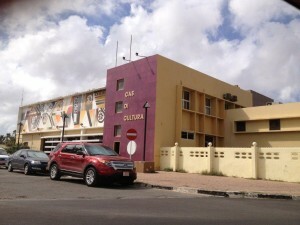 The show takes place each Wednesday evening in March and April 2012 from 8:00 pm till 12:00 am and the entrance is free. 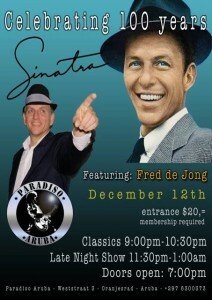 Special Aruba Sinatra Show @ Taste Of Belgium, as a result of a “regular” guest promotion on Saturday October 13th, 2012 from 7:30 pm till 9:30 pm! 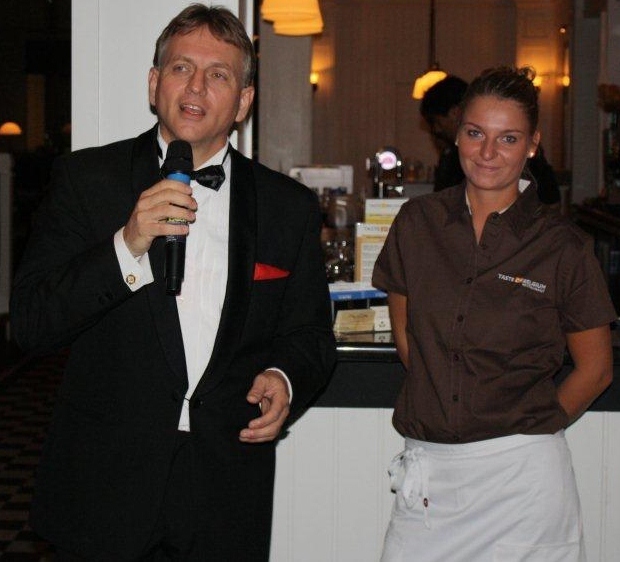 Because Fred de Jong is a regular guest at Taste of Belgium (TOB) and enjoys almost daily Cappuccino’s, TOB and Fred decided to organize a special Sinatra Show! The show takes place on Saturday evening Oct 13th, 2012 from 7:30 till 10:00 pm and the entrance will be free. 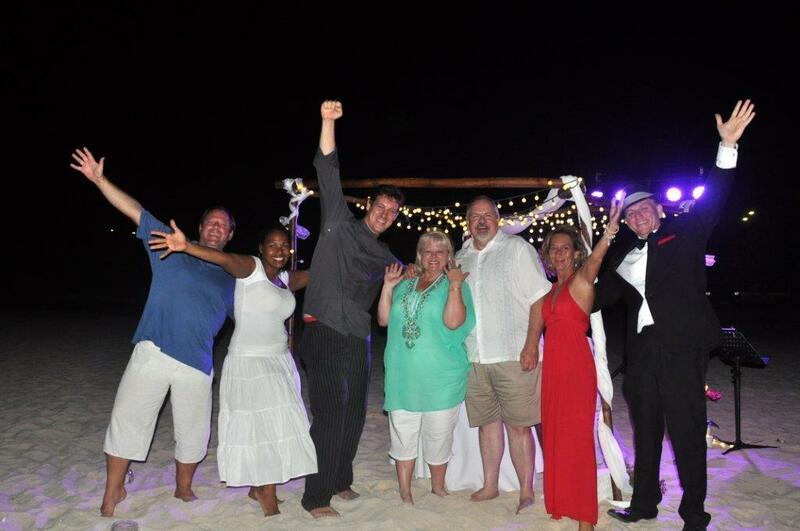 Do you want to attend a scheduled show and obtain tickets, do you want to throw a memorable Private (Beach) Party with Your Closest Friends, are you planning to organize a romantic Private (Beach) Event to surprise Your Sweetheart or bring your precious memories home with our unique Collector’s Items?